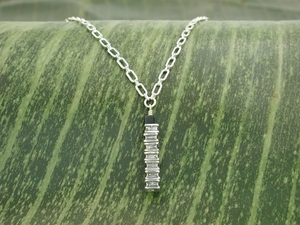 The pendant of this Deco-inspired piece is a pillar made from stacked JKAT column beads. Accent of cube cut black onyx. Clasp anywhere on the chain for your perfect fit.